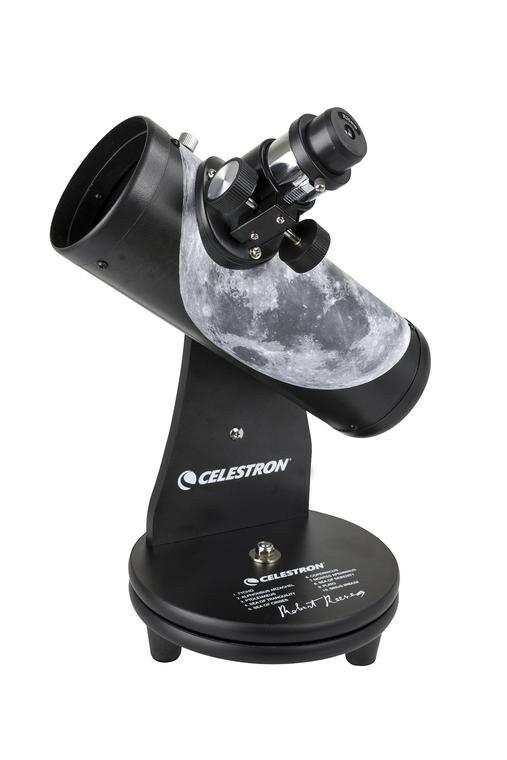 Celestron has joined forces with master lunar imager Robert Reeves on this new addition to the beloved FirstScope family: the FirstScope Signature Series: Moon by Robert Reeves. 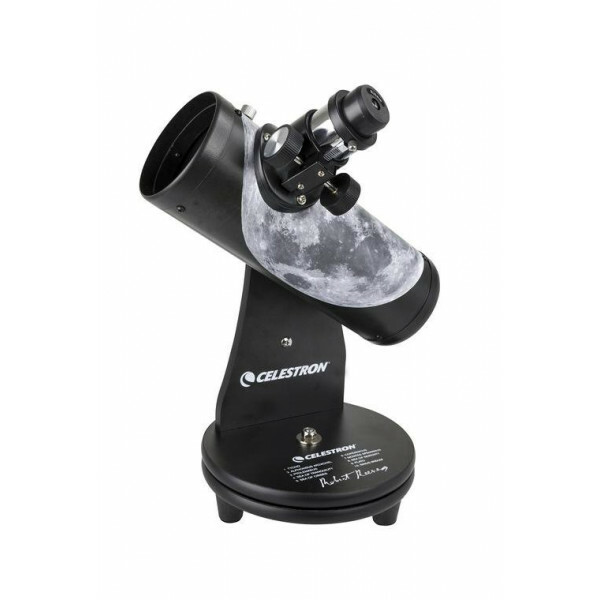 This quality Dobsonian-style telescope features a spherical glass mirror with a generous 76 mm of aperture. 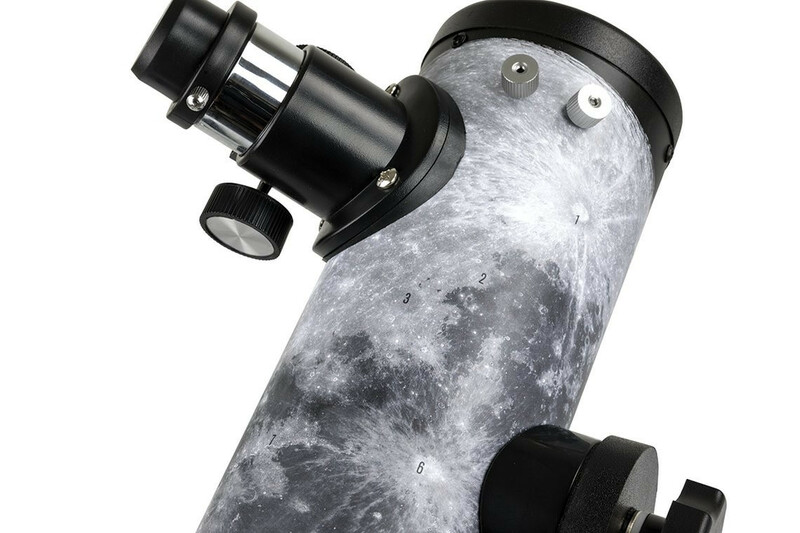 The FirstScope’s wide field-of-view provides bright, sharp views of the Moon’s mountains and craters in crisp detail. 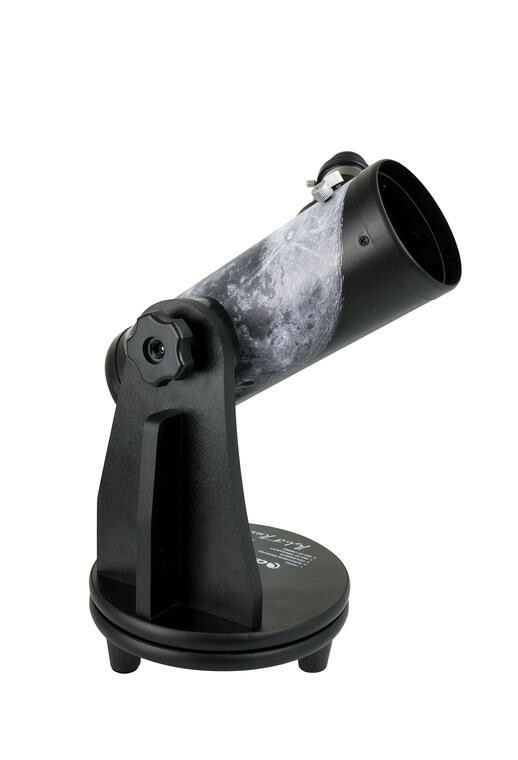 You’ll also enjoy using the FirstScope to pan the Milky Way, explore open star clusters, marvel at Saturn’s rings, or view favorite deep-sky objects like the Orion Nebula. 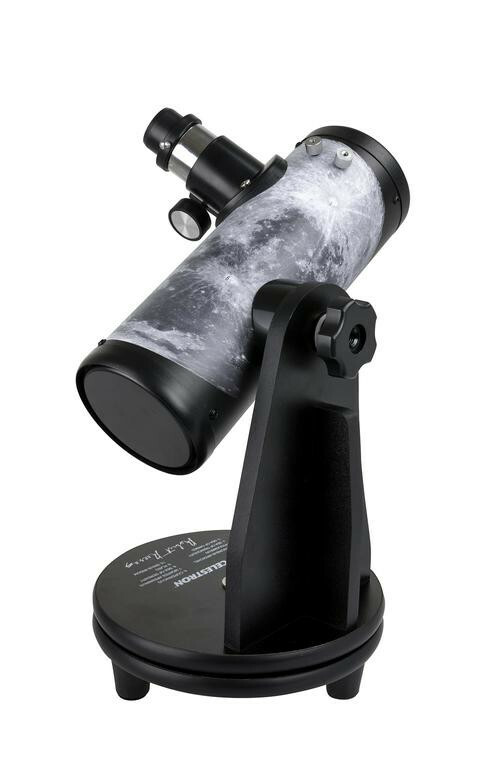 This compact, lightweight telescope is an ideal entry-level astronomical telescope. Just remove it from the box, insert an eyepiece, and you’re ready to view. To navigate the sky, simply rotate the azimuth axis in the direction of your desired object. It doesn’t get much simpler or more portable than the FirstScope. Its compact design makes the FirstScope Signature Series easy to take along on your next camping trip, picnic, or hike. 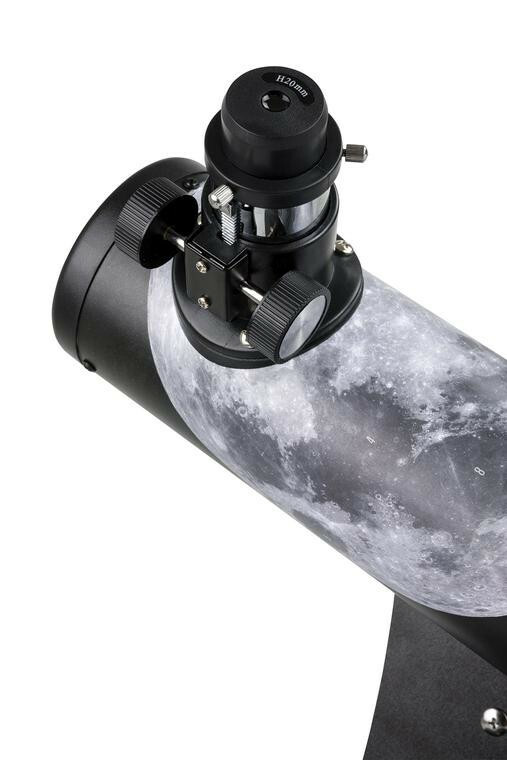 When not in use, the FirstScope Signature Series: Moon by Robert Reeves will be a stylish decorative fixture on your bookshelf or desk. Familiarize yourself with the Moon, our neighboring world. 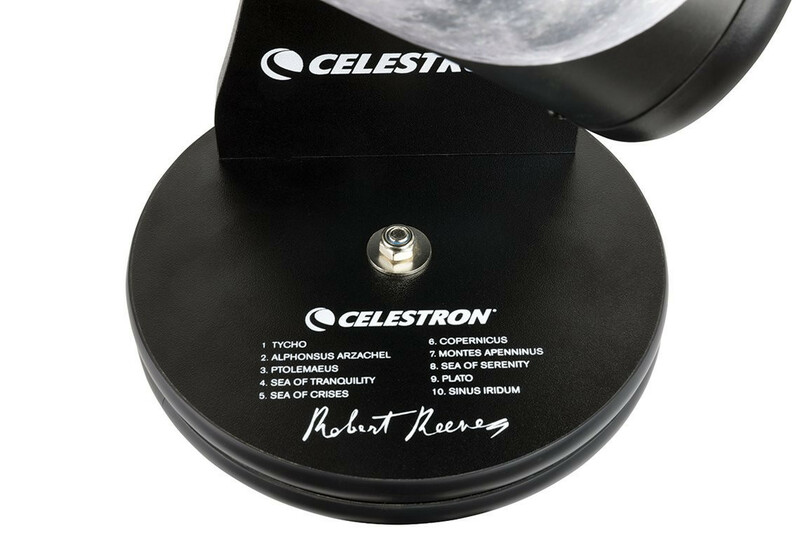 Robert Reeves’ signature FirstScope comes with a custom wrap that highlights 10 lunar features to explore including Tycho, Plato, and Copernicus. Learn more about the Moon with Robert Reeves’ Lunar Landscape eBook which goes into detail about the sizes of craters, how marias are formed, the natural history of the Moon, and other fascinating tidbits.